Brian Ginther (b. 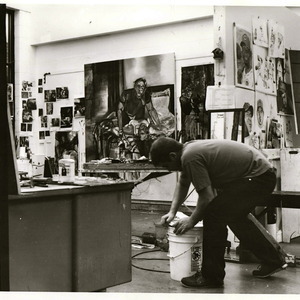 1986- Oxford, OH) creates work that often deals with the human form in a classical yet modern approach. His current paintings focus on exaggerated perceptions and environments to create a retrospect of events that may or may not hold a valid truth. Brian is currently based in Columbus Ohio.